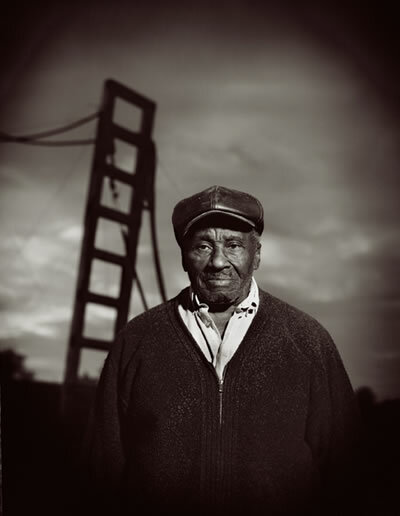 The artist Noah Purifoy’s life began in rural Snow Hill, Alabama, in 1917, and ended in Joshua Tree, California, 86 years later. Although farmers, his parents prized education and Purifoy attained a teaching degree. During the early part of his life Purifoy held many jobs including high school teacher (woodshop), sailor, and child-welfare and hospital social worker. But it wasn’t until the 1950s, while living in Los Angeles, that his disenchantment with social work led him to pursue a degree at the prestigious Chinouard School of Art. It was after receiving his BA there that he began to form ideas about art and its role in culture and society that would ultimately inform his life and the lives of others. Out of affection for Simon Rodia’s outsider art landmark, Purifoy founded the Watts Towers Art Center in the 1960s. The center, a manifestation of his love for both art and teaching, was Purifoy’s gift to the community. In 1965, the Watts riots occurred, and the center was instrumental in holding up a mirror to society through art. Purifoy, associate Judson Powell, and 5 other professional artists, collected the burned remnants of buildings and signs and created art from them; charred and melted, the riot-tortured pieces were reborn as assemblages and toured as an exhibit entitled, ‘Sixty-Six Signs of Neon’. Assemblage had become Purifoy’s preferred artistic expression and along with several other artists working in that medium, became well-known. This statement of Purifoy’s from that time explains his artistic philosophy: “Art of itself is of little value if in its relatedness it does not effect change … a change in the behavior of human beings … through communication … and communication is not possible without the establishment of equality among individuals, one to one.” Although his personal artistic beliefs were more universal, Purifoy was often lumped in with other “Black protest” artists of the time … in spite of this reputation, then-governor Jerry Brown appointed him a founding Member of the California Arts Council. As part of the Council, Purifoy helped institute and fund programs that brought the arts to schools, social programs and institutions … some of these programs continue to this day. Purifoy resigned from the Council in 1987, moving to Joshua Tree. I can’t ask him, but I’m almost certain that if I could, Purifoy would say he was surprised that Joshua Tree would be the last stop on his life’s journey … I’m also sure that he would say that it was exactly where he needed to be. The photo, above, is the façade of a structure at the sculpture garden. I’m including it in this vertical format so that as the reader scrolls down it’s easy to take in the amazing range of materials Purifoy used to create it. There’s everything from tons of tiny seashells to rusted railroad spikes and bits of wood and machine parts … Click on it once, then again for a closer look. Next post: Noah Purifoy’s desert sculpture garden. I have some pictures of our visit to see him years ago. He was so sweet. Made us baloney sandwiches in his trailer. Wow, Oscar, what an amazing memory … I’d love to see a picture, can you email me one? I would love to see more photos of the art, and I am wondering if the photo that’s posted is sideways? Hi, Johanna, the photo is presented sideways, to place the emphasis on the materials … the next post will appear in about a half hour… stand by!